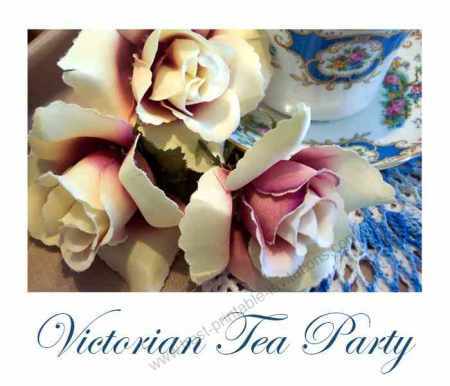 Having a Victorian Tea? 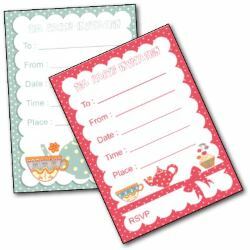 These free printable Victorian Tea Party Invitations will help you invite your guests properly. 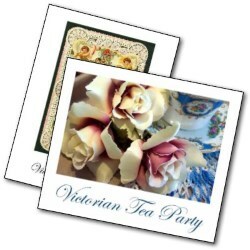 A Victorian Tea Party is such a special event and you really need special invites to use for it. 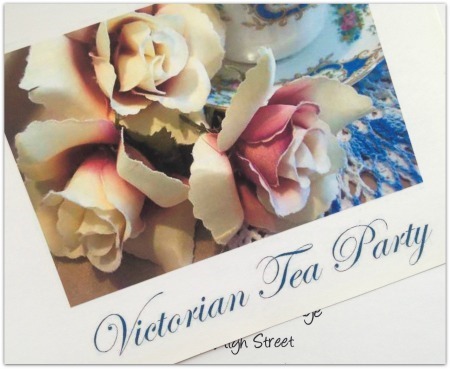 These invites feature designs that will match your event beautifully - choose from flowers and a teacup, or a vintage Victorian card design. 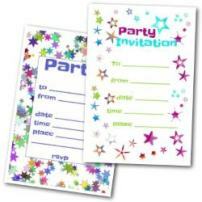 These beautiful invites fold to make a card with space to write your party details. TIP : If you feel your Victorian table is missing something, it probably is! Try adding rose petals, strands of ribbon or pretty beads as decoration. 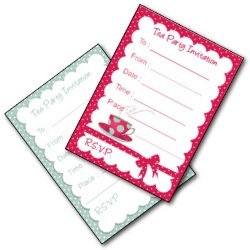 This flowers and teacup design make a really beautiful invite. Just the thing to invoke an old-fashioned, nostalgic effect. 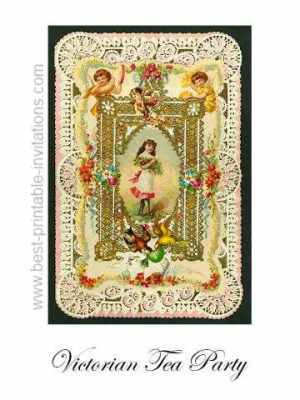 This antique design is taken from a vintage Victorian greeting card - I think it makes lovely Victorian tea party invitations, don't you? 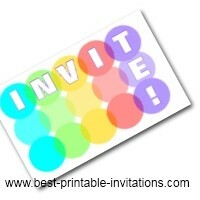 The perfect way to add some authenticity to inviting your guests. 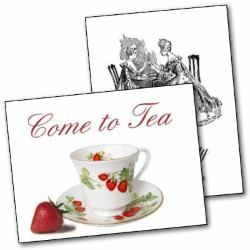 Tea parties make a wonderful way to spend an afternoon, and a Victorian theme can make it really special. It doesn't take much to bring that old-fashioned feel to your table. Pretty antique china cups and saucers are a must for a vintage feel, and look very effective even if they don't match - so you may find a collection at thrift shops. Flowers, especially roses, look lovely on a table. And to take with tea, try some prettily decorated cup-cakes - or design another special menu. If you are going to bake your own cakes, then there are lots of Victorian cake recipes available on the internet - or try here for some afternoon cake ideas. 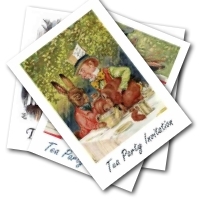 Why not make the wording of the invite, and your handwriting, continue the vintage theme? Type out what you would like to say with an old-english type font - then copy it out with a fountain pen for authenticity. 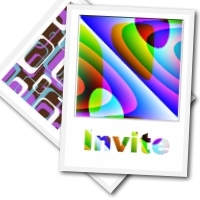 If you would like people to dress up, then remember to let them know in the invite. Perhaps you could ask everyone to wear vintage jewelry, or an antique hat? 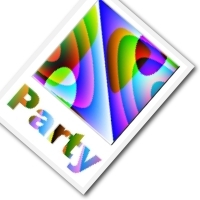 I think that would make your party feel very special. You might want to read up a little bit about etiquette before your guests arrive, so you can play the perfect hostess. And even if your party is quite informal, it doesn't hurt to have a few polite topics of conversation up your sleeve. Most of all enjoy! This is such a wonderful way to spend an afternoon that I am sure you will want to do it over and over. 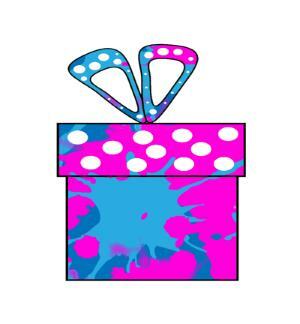 I have quite a lot of nvitations - you can check out some of them below.